At Boiron, we believe there’s a better way to feel good. A better way that works naturally with your body. Since 1932, the Boiron family has been committed to providing safe, natural medicines. As world leader in homeopathic medicines, our passion is your total health. Our promise is your total satisfaction. Watch our videos to find out more about Boiron USA. I got to test out how great Boiron's Calendula Cream was one Sunday morning while making some bacon in the oven. I made the mistake of tipping the pan a little too much and dropped bacon grease right down my leg. 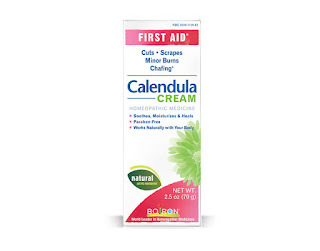 I quickly rinsed the burn with cool water and once dry I applied Boiron's Calendula Cream to the burn and it immediately felt better. I applied the cream several times for the first day ever time the burn started to sting. Every time it gave me immediate relief. I continued to use the cream over the next few days and was amazed that the burn never blistered. I'm a total fan of this product and love how well it works. Click HERE to find a retailer near you to purchase. 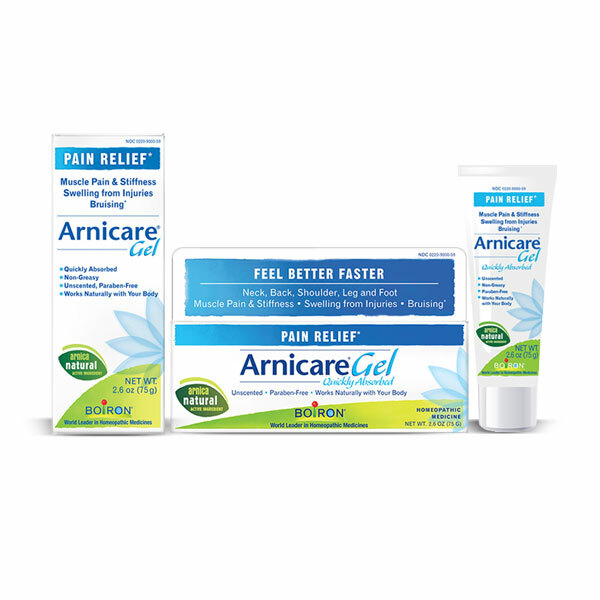 Boiron's Arnicare® Gel works great! As a runner I often have muscle pain from overexertion so finding a product that is all natural and actually works to relieve that pain is awesome to say the least. I also have extremely fair skin so I bruise easy. It's so embarrassing having bruises all over you legs as an adult. Now anytime I bump into something I apply Boiron's Arnicare® Gel and I bruise less often. When I do bruise I continue to apply Boiron's Arnicare® Gel to the bruise and it heals much quicker. Boiron Chestal® Cold & Cough is such a life saver! 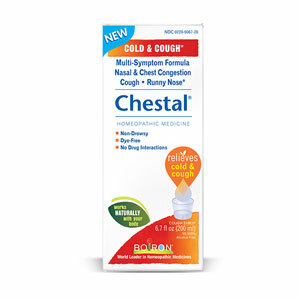 I hate taking medicine when I get sick but since Chestal® Cold & Cough is natural I feel much better about taking it. It quickly relieves chest congestion, coughs, sore throats, runny and stuffy noses. I love how soothing it is for sore throats! It works instantly. Boiron Chestal® Cold & Cough is also great for kids over 3 and I found it especially helpful for those fitful coughs my children wake up with in the middle of the night while sick. This is a great product for adults and kids!